“… the world should see, to how much better purpose the LADIES travel than their LORDS; and that, whilst it is surfeited with Male-Travels, all in the same tone, and stuft with the same trifles; a lady has the skill to strike out a new path, and to embellish a worn-out subject, with a variety of fresh and elegant entertainment”. During the later eighteenth century in Britain we see the rise of the woman travel writer. This rise promoted debate and conflict amongst British reviews and papers about the nature of women’s travel writing. However women travel writers such as Lady Montague and Lady Elizabeth Craven, were at the fore of an intellectual drive to describe and detail other countries, climates and cultures. Elizabeth, Baroness Craven, Later Margravine of Anspach. Those visiting Turkey and Russia, as Craven and Montague did, were unearthing new insights into the lives of people outside of Britain. These insights became, in a book trade still based on plagiarism, part of the geography and history books of the period. Through travel writing these women were having an important impact on the knowledge Britons had of the world beyond their own shores. The first widely published travel narrative by a woman was Elizabeth Justice’s A Voyage to Russia published in 1739 and this was followed in 1760s, 1770s and 1780s by a whole raft of published travel narratives by women. Among these we find Lady Elizabeth Craven’s A Journey through the Crimea to Constantinople (1789). 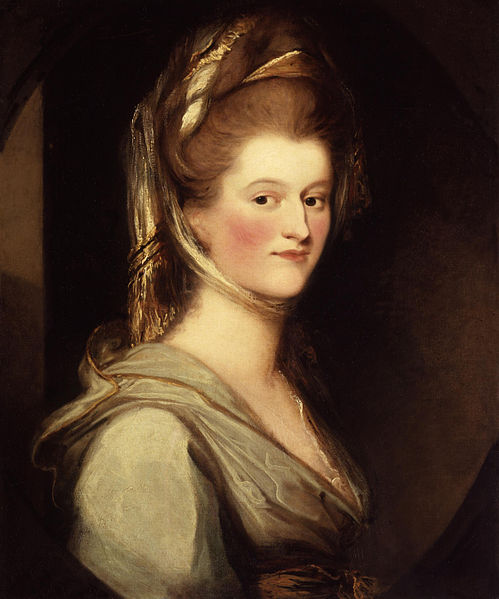 Lady Craven was a controversial figure. She seperated from her former husband William, the sixth Baron Craven, in 1767 and after travelling the continent developed a “more than sisterly affection” for the, then still married, Margrave of Anspach, to whom Craven’s letters are addressed. As one reviewer in the Analytical Review noted “The letters of this sprightly female will naturally excite curiosity”. In later editions of her writings Craven attempted to defend what she perhaps perceived herself as her neglect of her family whilst travelling, a reaction to the moralistic climate prevailing from the late eighteenth into the early nineteenth century. However Craven was also involved in a conflict over the appraisal of foreign peoples. Craven attacked Montague’s Embassy Letters arguing that they were “male compositions, pretending to female grace in the style, the facts mostly inventions”. In reality however the difference here was how Montague and Craven each chose to display the countries they visited. Where Montague chose to admire Turkey, Craven chose to display its cultural contrasts with English society from a standpoint of moral repugnance and orientalising condescension. This was welcomed by the monthly review who praised her “liberal reflections” as those of a “lover of her own country” and “citizen of the world”. Philosophic Geography and Enlightened travel. Lady Craven’s writings were also more explicitly associated with conflict. Very little on Turkey had been published in Britain during the eighteenth century. Lady Craven’s letters, published as they were during a conflict between Russia, Austria and the Ottoman Empire which ended with the 1792 treaty of Jassy, were an important source of knowledge on Turkey and the Ottomans and thus of interest to numerous Britons. In fact this information was also used by the combatants themselves: Lady Craven met with Emperor Joseph II in 1786, the year before war broke out, and brought him a selection of maps of Turkey which, she noted, “seemed to please him very much”. However travel writings were also an instrumental tool in that great Enlightenment project of discovering and categorising the world. In his travels across the globe during the late eighteenth century John Ledyard mused on the idea of a ‘philosophic geography’ whereby the different gradations of society, civilised and uncivilised, distinctions between brute and man, might be described. What Ledyard was engaged in describing in his ‘Philosophic geography’ was the manners and civilisational status of different countries and peoples. When describing the countries through which she travelled Lady Craven was engaging in a very similar affair to Ledyard. The concern with civilisation which characterises Ledyard comes forth in Craven’s comments on Wallachia, musing that “This country may be called indeed a jewel ill set, what would it be under the hands of taste and industry”. Lady Craven describes the landscape, the villages and towns, and ethnographically categorises the people she passes, describing the Cossacks as the “Ugliest fiercest looking men imaginable, with their eyes set in their head, inclining down to their nose, and uncommonly square jawbones”. Perhaps the most original comments,which struck out the ‘new path’ described by Astell at the beginning of this article, are those reflecting the state of women in Turkey and the Crimea. Excluded from the Ottoman court, Craven describes instead the experiences of the women of the harem and the status of villagers instead of the political and diplomatic material which dominated other accounts. It was the new information that travel writers including women such as Lady Craven acquired and presented in their published letters that became important in the geography and history books of the day. In many cases travel writings were borrowed and copied from with little regard for footnoting. However two examples might suffice. One such is William Guthrie’s A New System of Modern Geography (6th ed. 1795) which, as with most of the ‘geography’ books of the time, combined history, current affairs and geography. Lady Craven’s insights into the lives of Tartars and Turks are used throughout the sections on these states, especially those on the houses of Tartars and the situation of women in the respective countries. Another example is John Vint’s A Concise System of Modern Geography (1808), running into two huge volumes of nearly one thousand words each, which uses Lady Craven’s writings in examining the history of Turkey, the nature of its people and the commerce and manufactures found there. Whilst there was a conflict about what the status of women travel writers was during the later eighteenth century, women like Lady Craven were also part of an intellectual discovery of the world, demarcating a ‘philosophical geography’ which was then digested by the reading public of Britain in the form of travel writings and in geography books. This discovery and description of other countries was not restricted to men, and women, particularly of Craven’s class, played a major role. Craven, Elizabeth Craven, Baroness. 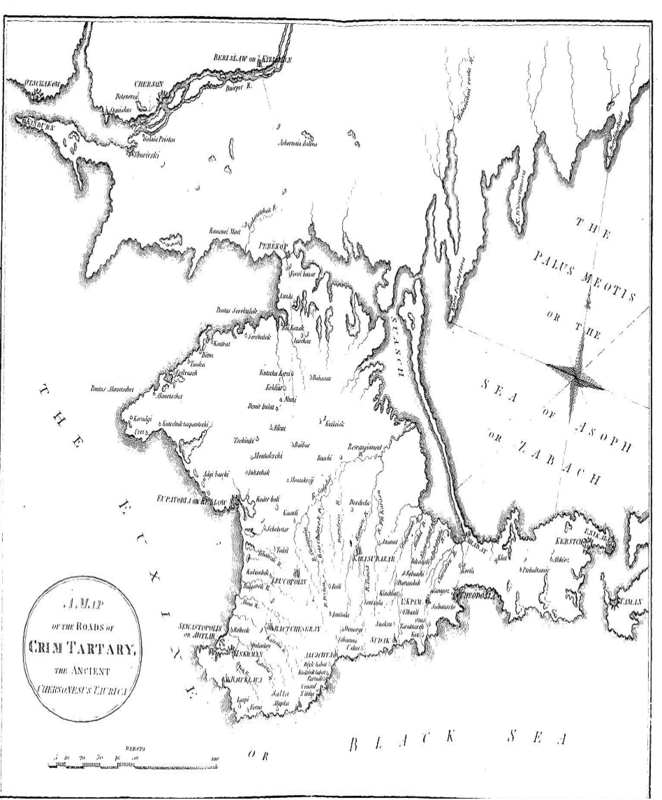 A journey through the Crimea to Constantinople. In a series of letters from the Right Honourable Elizabeth Lady Craven, to His serene Highness… London . Katherine Turner British Travel Writers in Europe 1750-1800: Authorship, Gender and national identity (Ashgate 2001). Mayhew, Robert J. (1998) ‘Geography in Eighteenth-Century British Education’, Paedagogica Historica, 34: 3, 731-769.